Nintendo has announced that new Animal Crossing amiibo figures will soon see release on March 18th. In North America, that will see Kapp’n, Rover and Timmy & Tommy amiibo merrily sail to retailers, with the Digby amiibo to become available standalone. The third Animal Crossing amiibo card series will also launch, meaning that there will soon be a whopping 300 amiibo cards to collect. 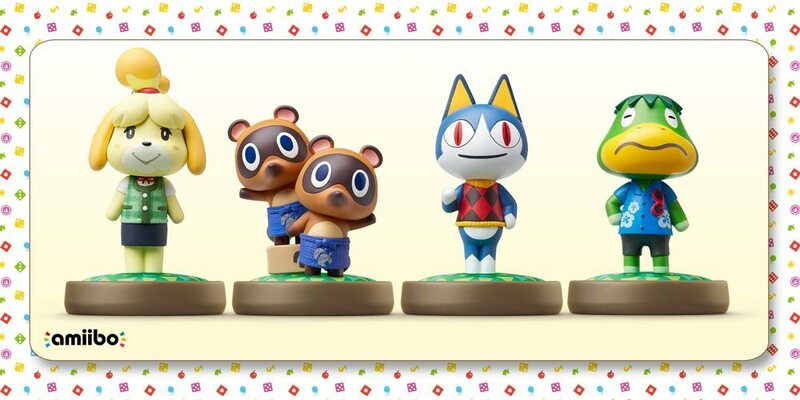 Whereas in Europe, we can look forward to the Kapp’n, Rover and Timmy & Tommy amiibo on the same date, as well as an Isabelle amiibo (Summer Outfit) – the second that Nintendo’s loyal shi tzu has received. A new Animal Crossing: Happy Home Designer bundle will also be introduced in the region, which will include a copy of the game with the new Isabelle amiibo.